Cambodian dictator Hun Sen has ruled since 1998, and when an opposition leader used Facebook to challenge his election in 2013, Hun Sen teamed up with a fake news outlet called Fresh News to deploy a Facebook-based strategy to consolidate his control and neutralize democratic opposition. Hun Sen and his attack-dog media outlets became experts in Facebook's rules and enjoyed back-channel direct access to Facebook's terms-of-service enforcers, so they were able to force Facebook to terminate the accounts of anonymous opposition figures (for not using their "real names"), goad others into crossing Facebook's lines on civility and get their accounts terminated, and round up anyone who used their real names for arrest, torture, and disappearance. At the same time, clickfarms in the Philippines and India started mass-liking Hun Sen's own posts -- just as Facebook was using Cambodia as a trial-site for the downranking of media outlets in personal newsfeeds, in favor of posts by individual accounts. This killed what was left of the Cambodian opposition press, while Hun Sen's cyber-militia were able to spread his clickfarm-upranked messages to the whole country. 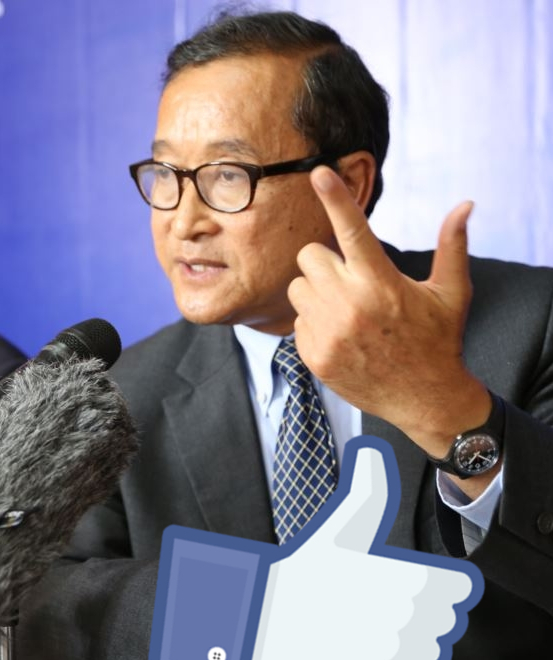 Opposition leader Sam Rainsy was forced into exile after he publicly accused Hun Sen of being behind the clickfarm upvotes on his posts. Now, Rainsy is suing Facebook in a California court, alleging that the company was complicit in Hun Sen's manipulation of the national discourse in order to maintain his grip on power.